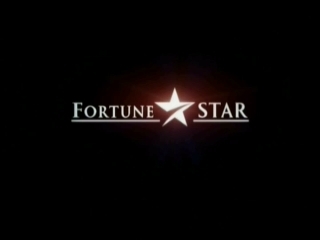 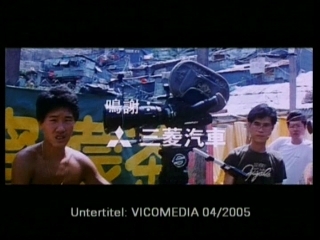 The Uncut Theatrical Version on Amazon.com! 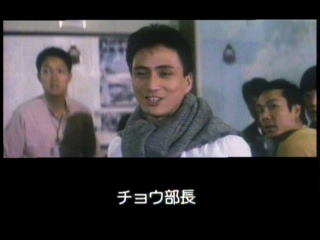 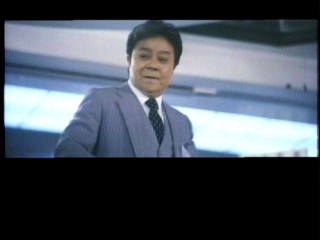 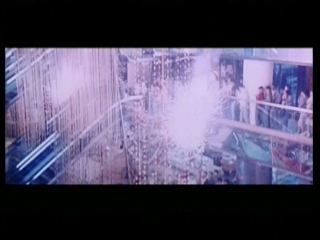 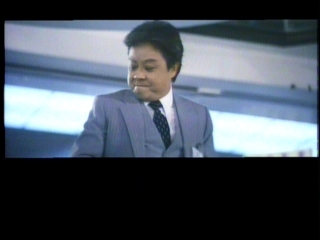 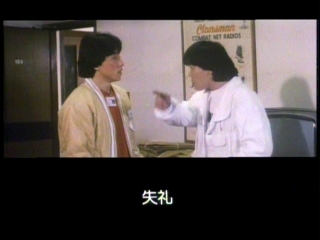 Comparison between the uncut Hong Kong Version and the Japanese Laserdisc Extended Version from Pony Canyon. 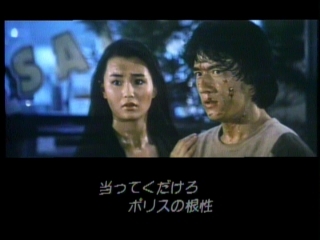 Beside the regular Theatrical Version of the extraordinary action movie by and starring Jackie Chan an Extended Version has been released on Laserdisc in Japan. 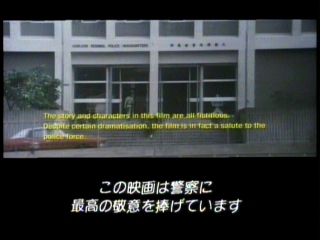 Sadly, this is not the official cut – while the Theatrical Version starts right away without introducing the story or any character the Japanese Version eases the viewer into the movie instead of throwing him into it. 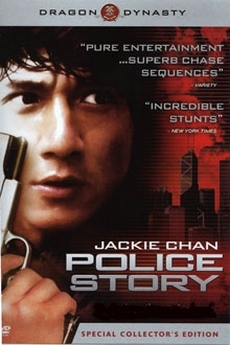 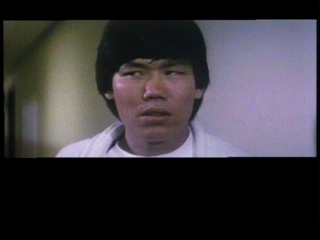 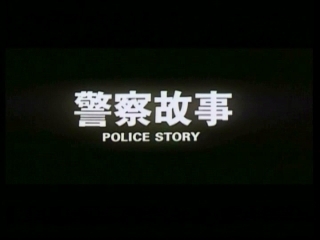 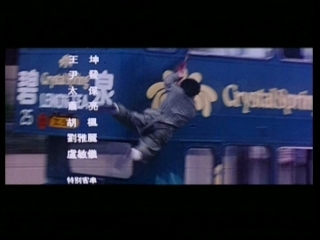 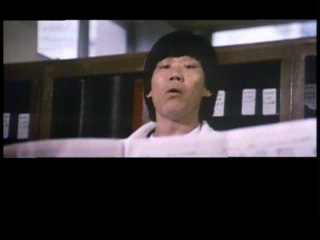 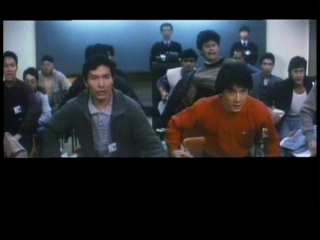 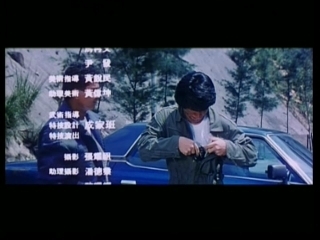 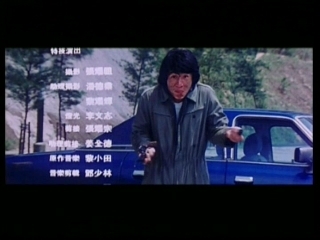 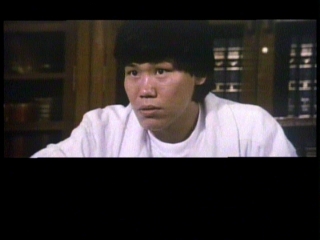 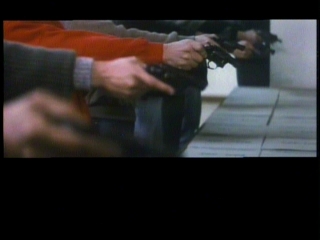 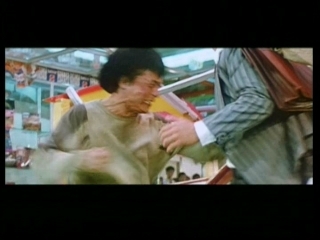 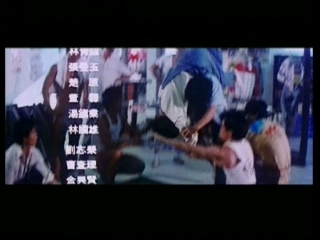 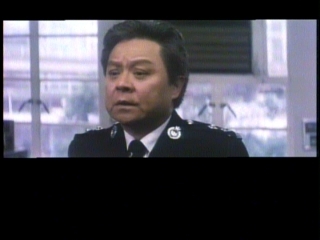 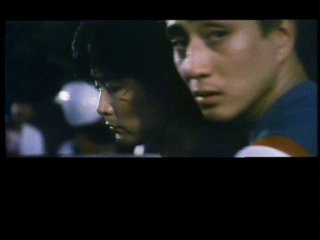 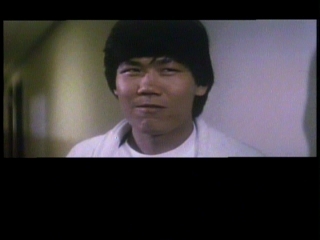 And while this is somewhat okay with smaller HK action movies, "Police Story" deserves a bit more. 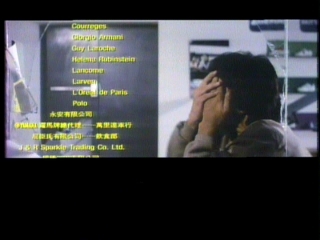 Since the Laserdisc has neither English audio nor subtitles it is useless to the majority but pretty sought-after among collectors. 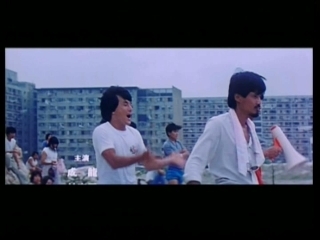 Running time data derives from the HK Version. 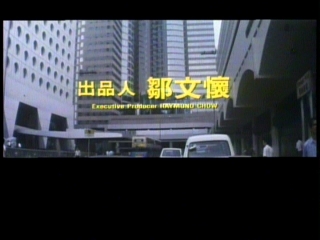 The rest of the running time difference comes from different running speed, longer opening an ending credits of the HK version as well as rounding of the recorded cuts to whole or half seconds. 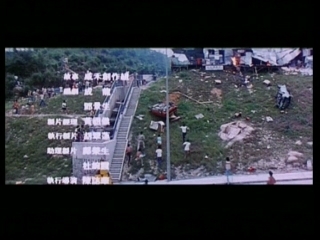 HK Theatrical Version: 1:36:23 Min. 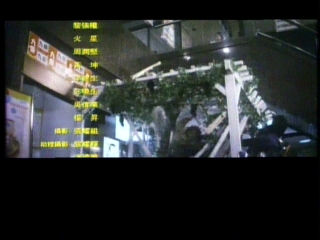 Extended scenes: 9 = 5 Min. 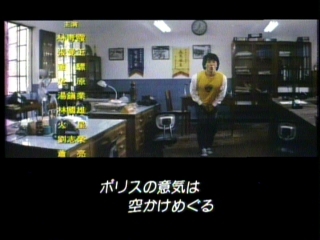 43,5 Sec. 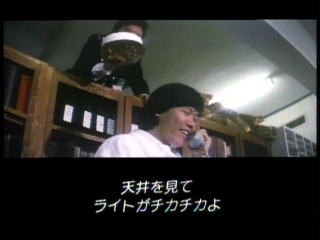 Cut scenes: 1 = 1,5 Sec. 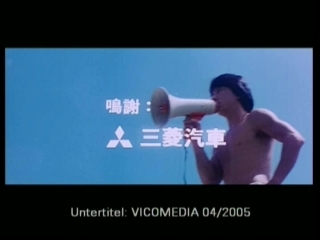 The opening credits of both versions are different. 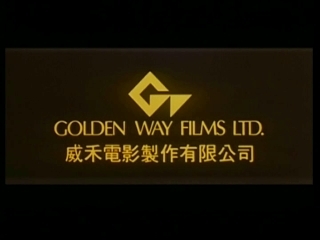 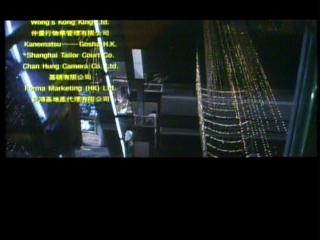 HK version: Only text in front of a black background ( 22 Sec.). 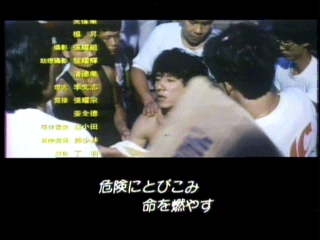 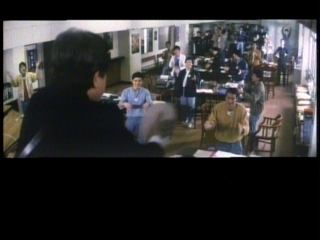 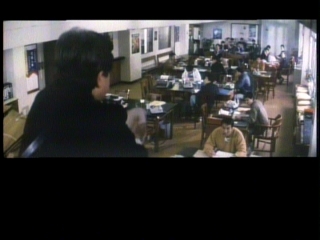 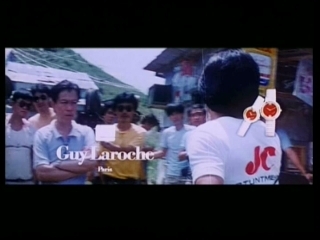 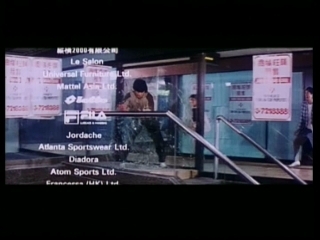 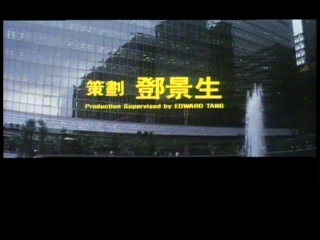 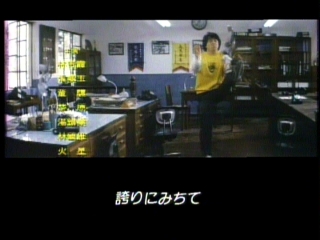 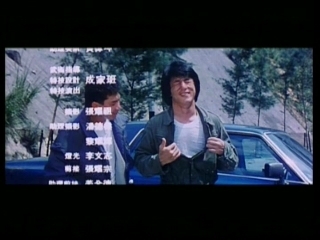 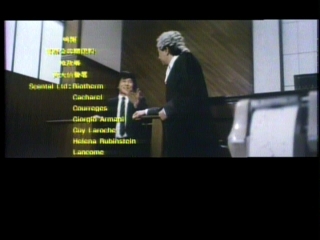 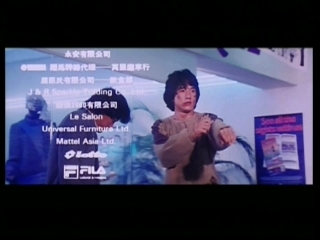 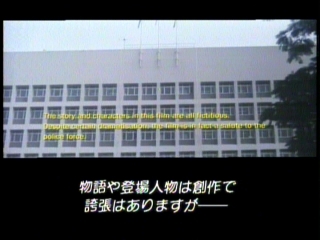 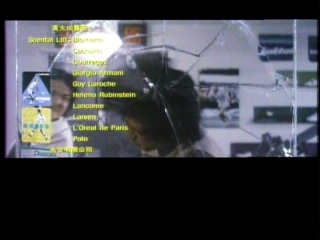 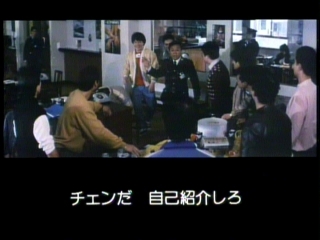 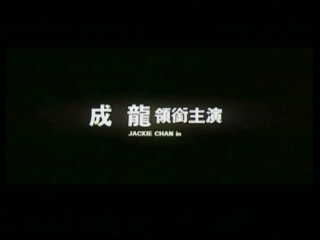 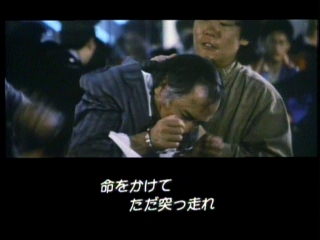 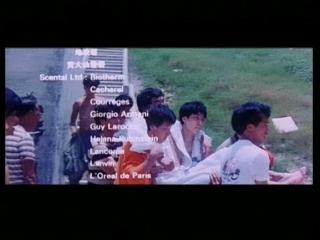 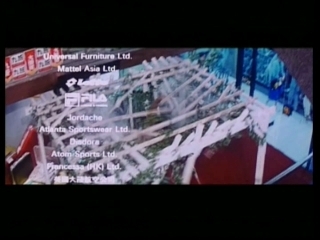 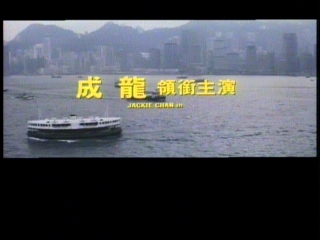 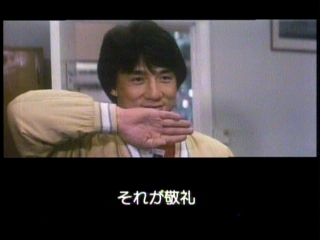 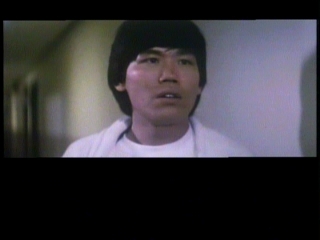 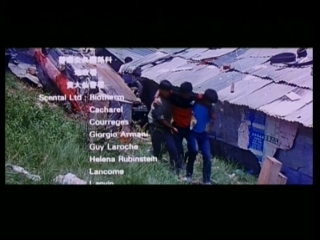 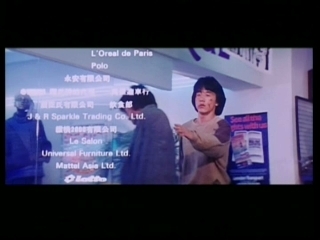 Japanese LD: Here we have filmed credits including the theme song sung by Jackie Chan (53 Sec.). 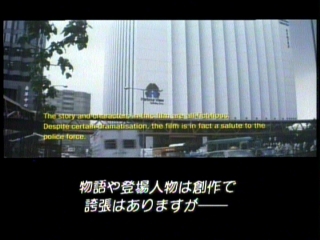 Also, a text appears stating that the events and characters are fictional and that dramatizations are made in order to honor the work of the police forces. 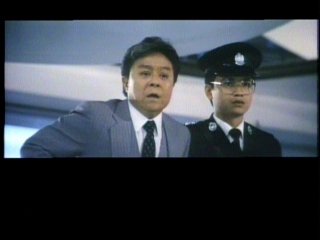 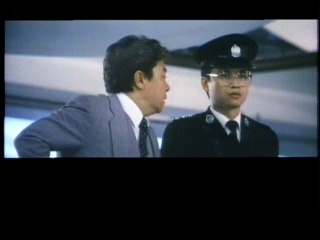 Jackie arrives at the police station and is shown the way to his superiors office. 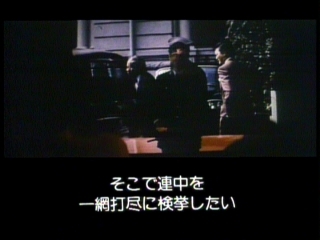 He enters and hides his face while saluting. 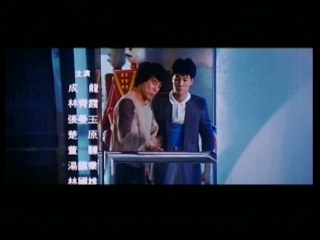 When he reveals his face we see that the two know each other. 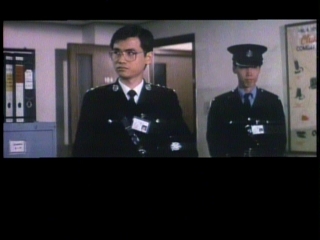 His superior leads Jackie to the break room where several others are preparing a birthday surprise for a colleague and introduces him to another policeman. 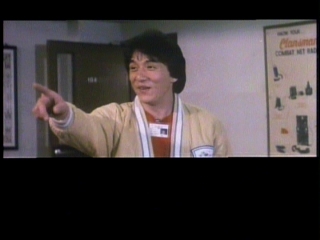 While Jackie is busy shaking hands a man in a white jacket enters and warns the others that the birthday child is on the way. 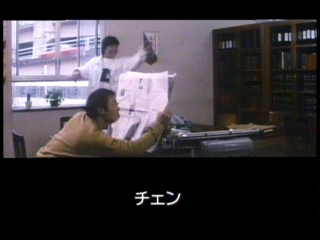 The man walks down the hall while his colleagues hide the cake and such. 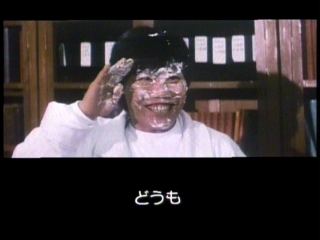 Skeptical of his overly friendly coworkers, he remembers how he himself along with his colleagues has surprised another man on his birthday by throwing a cake into his face, and he is eager not to meet the same fate. 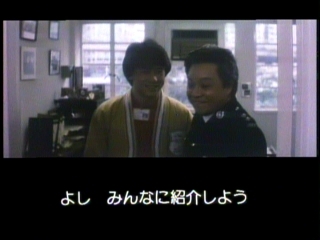 Jackie meets and greets his friend from the academy. 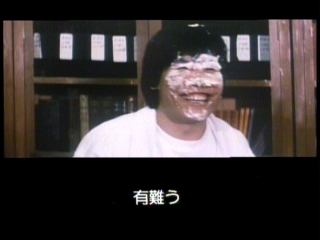 The man is pleased as well but remains suspicious since he is still in danger of taking a hit in the face with a birthday cake. 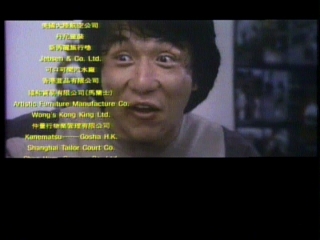 He then receives a message about a phone cal – faked by Jackie's partner. 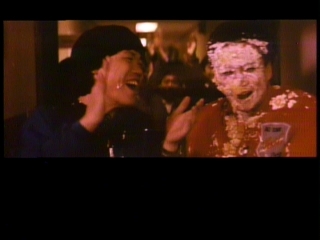 During the call Jackie's partner somehow brings the man to look up where his superior sits on top of a shelf with the cake in his hands, which he then throws into the mans face. 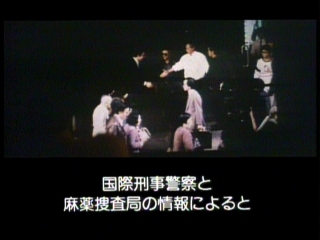 Laughing, he thanks them while they all sing "Happy Birthday". 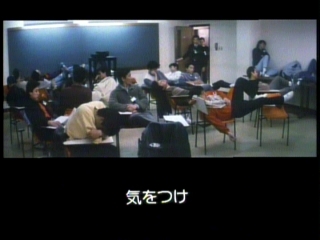 The policemen are (more lying than) sitting in the briefing room, sleeping. 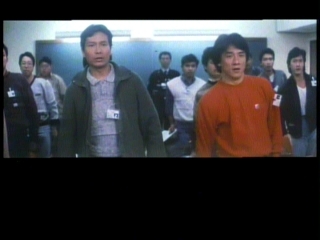 The Chief, the superior and some colleagues enter the room and although one of them yells "Attention!" 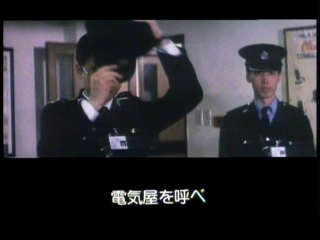 into the room the policeman are getting up rather slowly. 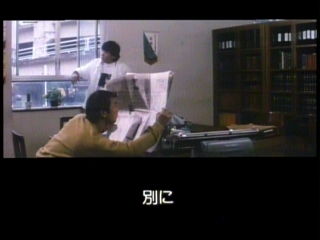 Some files are placed on the table and a screen for slides is set up. 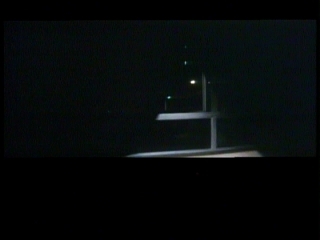 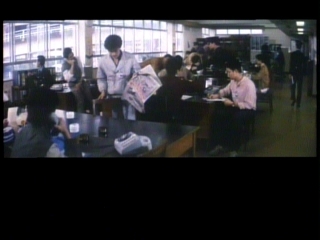 The lights are turned off and the slide projector is turned on. 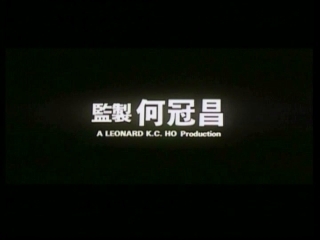 And this is where the HK version finally begins (technically). 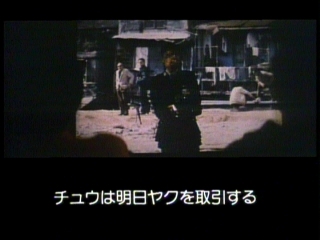 While the HK version pastes together the briefing and the first scenes in the village the Japanese version first shows the complete briefing (which is longer as well). 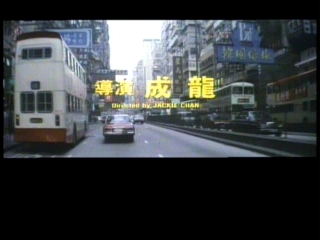 HK version: Here we see the village and the street where the car is approaching in which Ku is making a phone call. 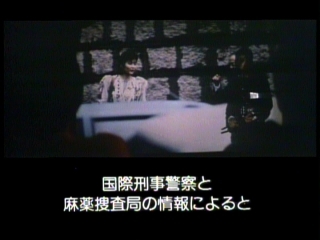 The picture freezes and the briefing is cut in. 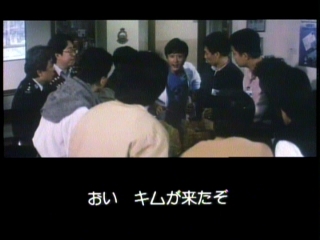 Japanese LD: Here the movie continues with the complete briefing. 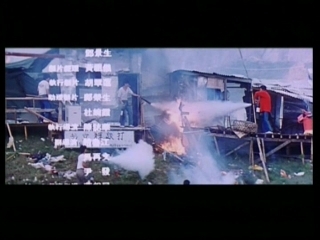 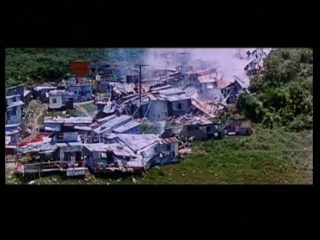 HK version: Ku talks on the phone with a man at the edge of the village. 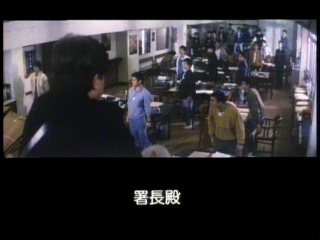 Japanese LD: Here the movie goes on with the briefing. 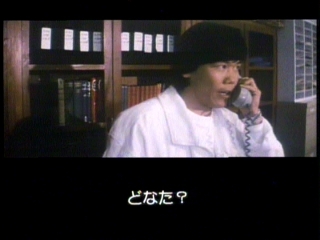 HK version: Ku finishes his call, orders his secretary to wait for him upstairs and gets out of the car while his nephew takes the phone from him. 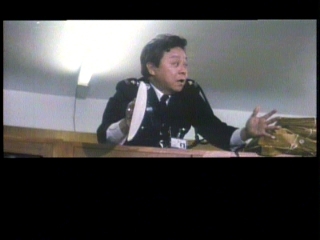 The picture freezes and the briefing continues. 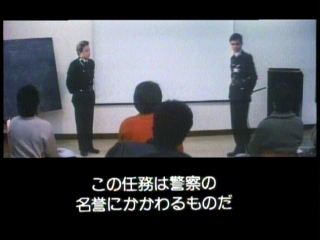 Japanese LD: The briefing continues. 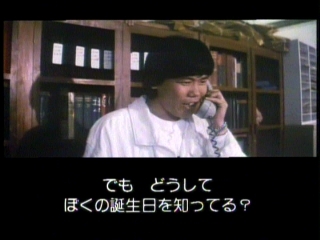 The Japanese version later shows the nephew putting the phone in his briefcase. 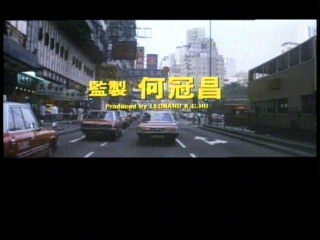 This should follow now in the HK version but it doesn't. 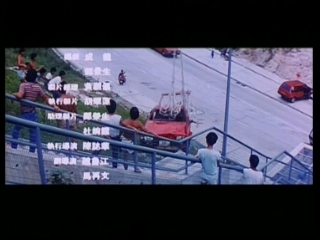 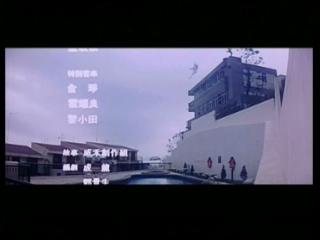 HK version: We see Ku's car driving off while he and his nephew are climbing the stairs to the village. 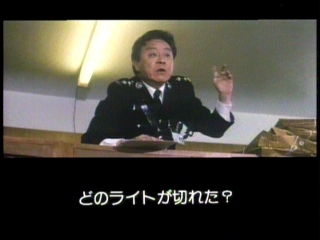 A few lines from the Chief are missing in the HK version during the briefing. 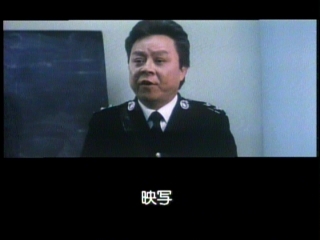 The superior gives orders and all policemen are putting their beepers on the table. 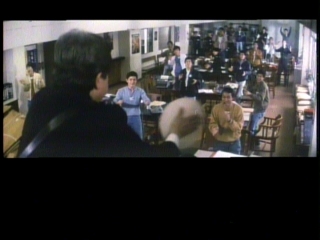 After another order everyone gets up, walks over to the front table and checks their weapons. 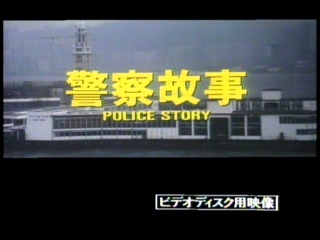 The Japanese version shows more policemen opening their envelopes and reading their assigned orders. 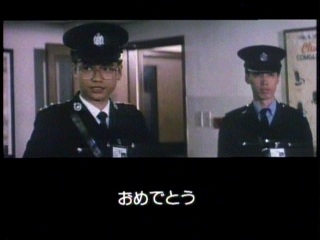 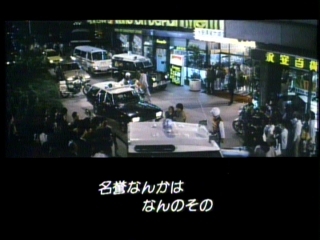 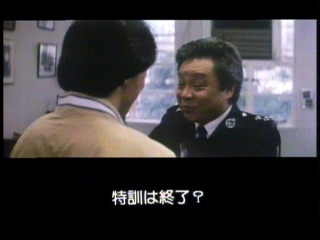 In exchange, the HK version features a shot of a policeman that is missing in the Japanese version. 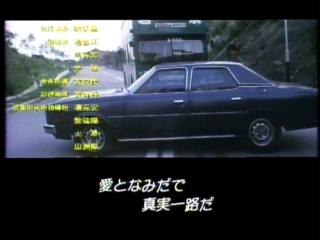 The Japanese version is missing a few hits to Kus stomach. 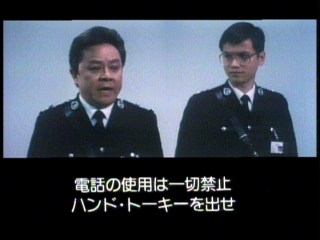 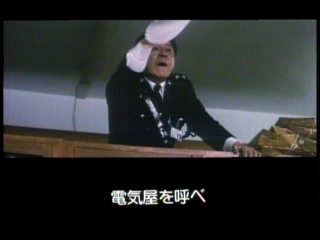 HK version: A short dialogue between the Chief and the superior is shown. 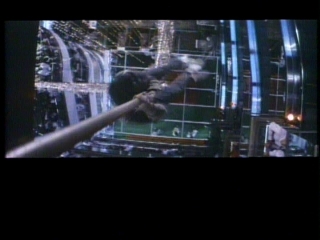 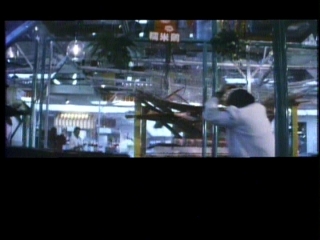 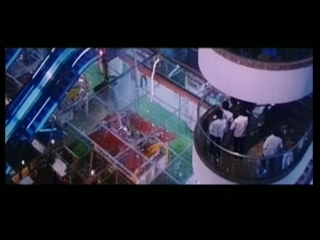 Japanese LD: Directly after the hits into Kus stomach Jackie kicks him into a shopping cart and the shopping cart into a showcase. 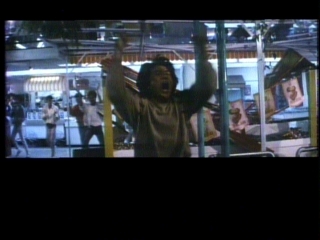 The we see Jackie enraged and being held back by his coworkers. 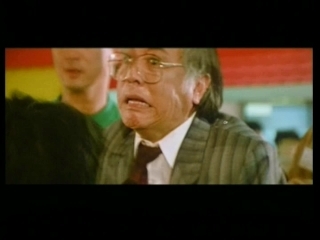 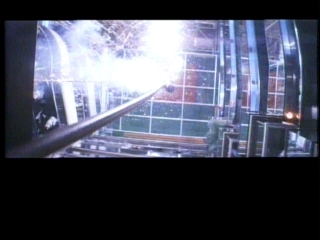 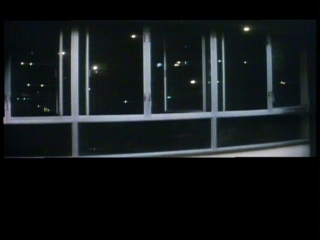 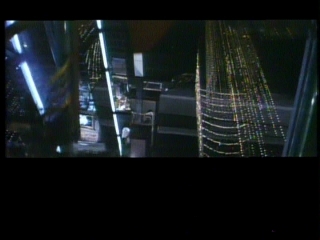 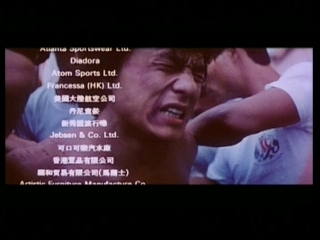 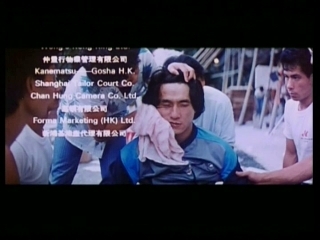 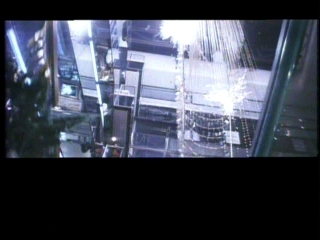 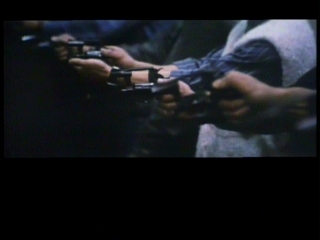 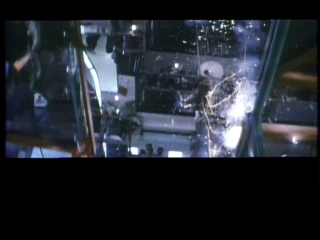 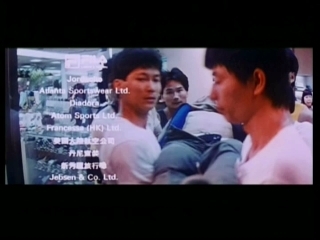 (In the HK version this shot freezes, ending the movie). 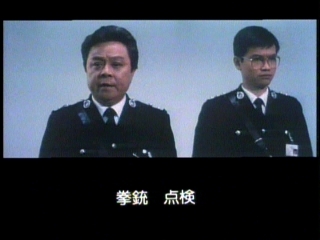 Now follows the short dialogue between Chief and superior. 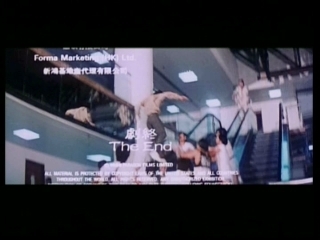 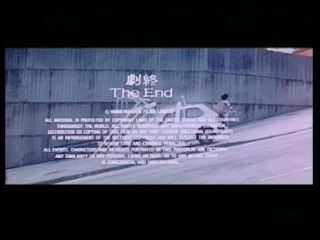 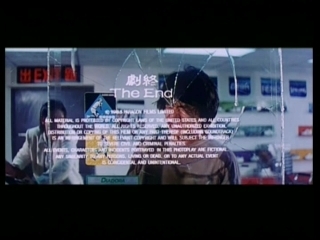 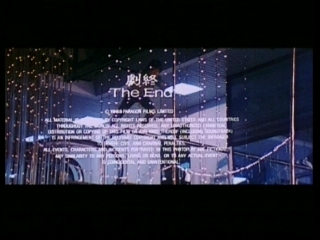 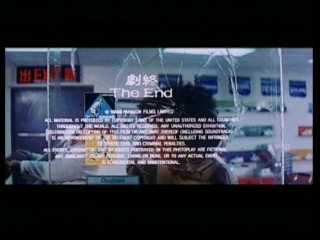 Also, the HK version is missing the beginning and the end of the shot during the dialogue. 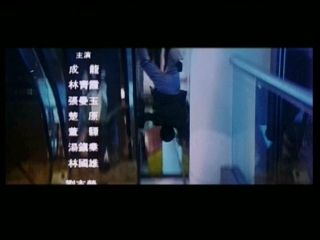 Beginning: The superior overlooks what has happened on the ground floor before turning to the Chief and pausing for a moment..
End: The superior is relieved and climbs down the stairs. 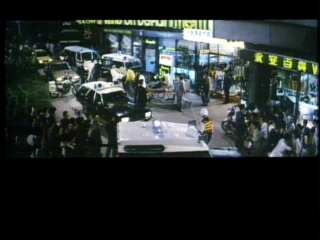 A few injured people are carried outside and Ku and Selina are marched off. 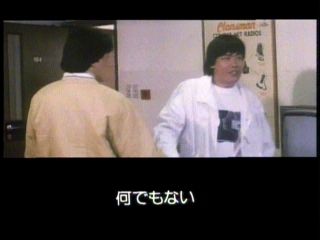 At last Mae and Jackie are walking through the door. 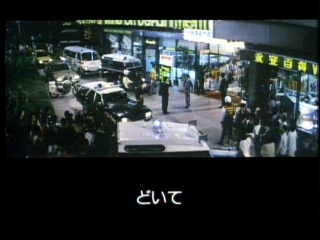 Everyone looks around a bit, then Selina and Ku are put into the back of a police car. 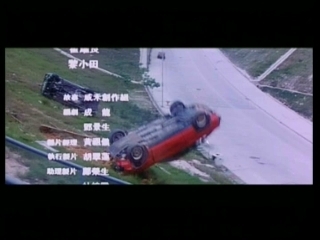 The superior leads Mae and Jackie to another car. 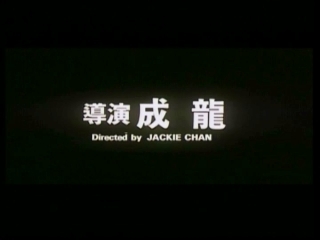 At the beginning of this scene the theme song starts playing while in the HK version the song starts as his coworkers are holding Jackie back so he cannot attack Ku further. 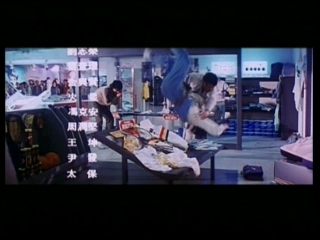 The outtakes during the credits are different. 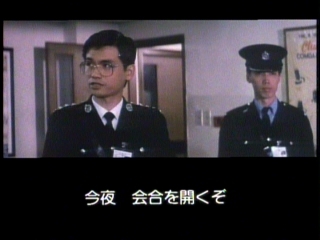 Some are in both versions, some only in he HK version and vice versa. 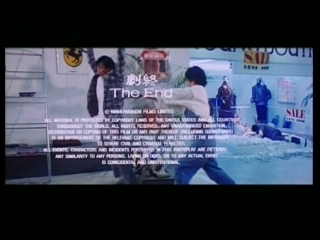 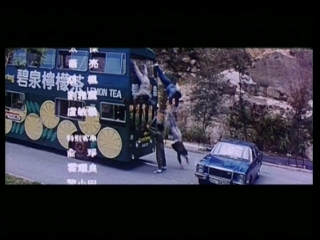 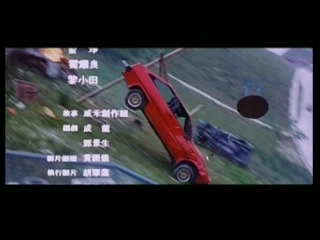 Also, the HK version credits end with some sort of medley of the best stunts while the Japanese version only shows outtakes.